OSHA CFR 1910.6, ASME B30.2 and ANSI/NFPA70E NEC now require a dedicated ground conductor for crane runway electrification systems. For existing systems, complete replacement of the runway conductors is not necessary to meet the new grounding requirements. In most cases, we can supply and install a dedicated ground conductor in parallel to existing systems. 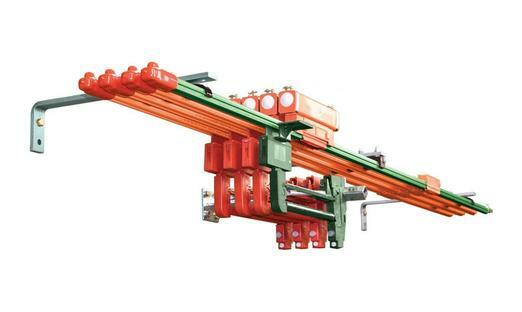 This "green bar" will get bonded on board the crane as well as to the building ground to prevent the flow of any current through wheel bearings or through wire ropes which can cause significant damage to the crane. Simmers Crane Service can inspect your existing system to recommend the most economical and best technical solution for your crane. Simmers Crane Design & Services provides the engineering support as well as the field experience and execution for a very complicated engineered lift or for prequalification of a routine lift. 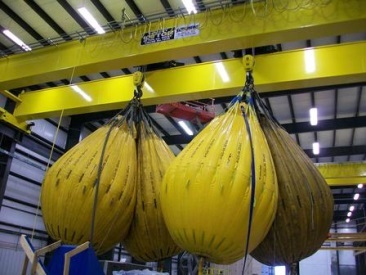 Many major manufacturers rely on our engineers to develop, document and perform engineered lifts. An operator needs to know the weight of the part, the capacity of the crane, the attachment points and rigging devices among other things. Let us develop and document the plan. 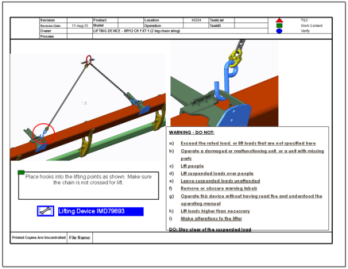 The pre-qualified lift plan can be posted for production employees to utilize in their routine lifts. 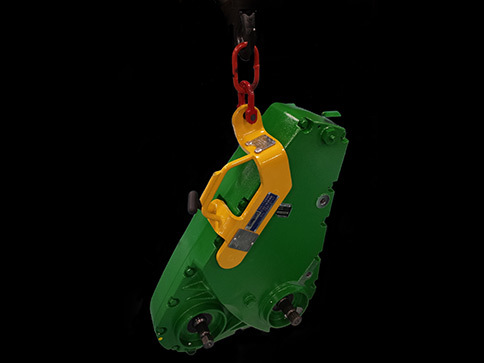 Whether it's development of a certified below the hook (BTH) lifting device or utilization of existing equipment, we help to eliminate the guesswork and keep your operators safe. 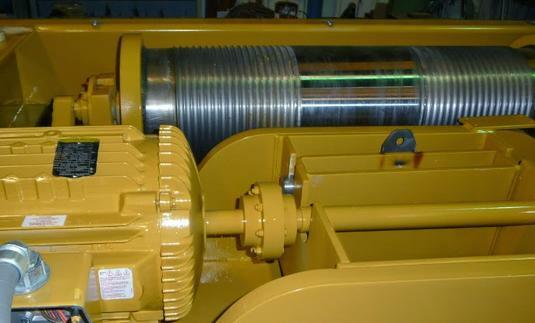 Electric motors, eddy current brakes, drive shafts and gearboxes depend upon precise alignment for smooth operation and long service life. Whenever a motor, or other driveline component, is replaced, the alignment should be checked and components properly shimmed. 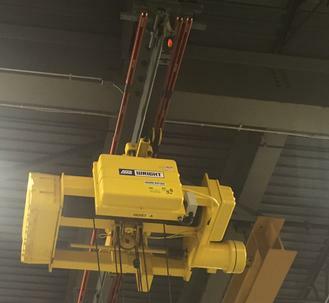 Simmers Crane has qualified technicians that are able to bring our laser alignment system into the field to accurately set your machine positions. 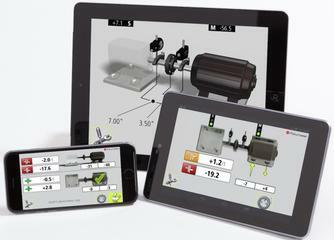 Proper alignment ensures longest wearing duty cycles and reduced maintenance costs. In many cases, proper alignment can also prevent catastrophic failures of driving components that could result in a dropped load. 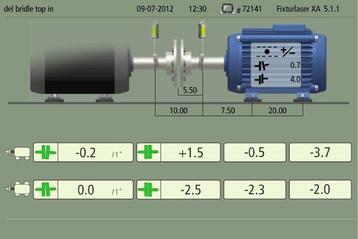 Contact Simmers Crane Design & Services laser alignment today regarding your motor alignment needs. Coupling inspections typically consist of a simple visual evaluation. The inspector can see the general condition, bolts and exterior of the keyways. What they can't see is the condition of internal teeth, hubs and grease. 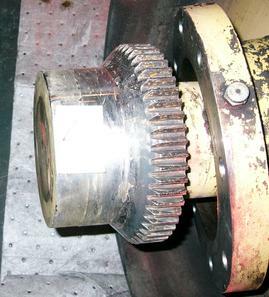 A failure in a hoist coupling can result in a catastrophic dropped load. Many of our customers hire Simmers Crane to inspect critical drive couplings on an annual basis. 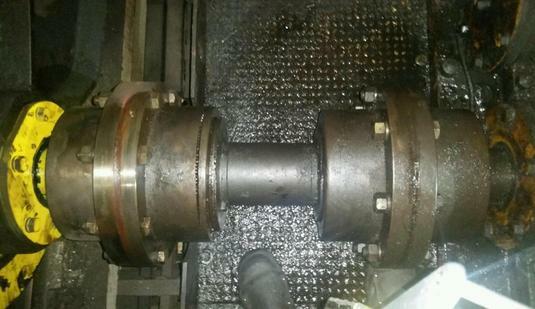 We remove any guards, split the couplings, clean all parts and then thoroughly inspect all of the internal parts. The couplings can then be reinstalled and lubricated after replacement of any defective parts. If you don't recall the last time you opened up critical drive couplings, it has probably been too long. Contact us for a detailed proposal on coupling inspection and repair crane services.